Time for Some Good News? There are plenty of discouraging climate-related developments out there — Hurricane Matthew, wildfires in the West, the ongoing drought in central New York. You don’t even have to look beyond our country’s borders to find enough bad news to make you want to pull the covers over your head. And, globally speaking, we’re still on track for 2016 to be the warmest year since records began in 1880. 1) Canada is putting a nationwide carbon tax in place. On October 4, Canadian Prime Minister Justin Trudeau announced his government the tax starting in 2018. 2) That same day the Paris climate agreement went into effect. Enough countries ratified the the deal so it’s now officially “in force.” Governments will have to regularly report and review their progress on emissions to the UN. 3) A new global deal on aviation emissions was signed two days later. More than 190 countries agreed to offset much of the global growth in aviation emissions starting in 2020. This deal has plenty of flaws but it’s the first time the International Civil Aviation Organization has addressed the climate impact of flying, one of the fastest-growing sources of CO2. 4) Finally, on October 15, 197 countries agreed to phase out hydrofluorocarbons (HFCs), a very potent greenhouse gas used in refrigerators and air conditioners. Vox described this as “probably the most important climate policy taken to date.” It’s estimated that the HFC treaty alone could prevent between 0.2°C and 0.44°C of warming by the end of the century. When ratified, this agreement will be legally binding and enforceable through trade sanctions. 1) Cornell just issued an important report outlining its options for meeting its target of carbon neutrality by 2035. The release of the report by the Senior Leader Climate Action Group, will begin the next phase of campus and community engagement around this very ambitious goal. 2) New York’s 2016 Energy Conservation Construction Code went into effect on October 3rd for residential and commercial buildings. The new code calls for improvements in the design and construction of energy-efficient building envelopes and the installation of energy-efficient mechanical, lighting and power systems through requirements emphasizing performance. 3) The Tompkins County Planning Department announced that it has completed the Greenhouse Gas Emissions Inventories. The report shows that the Tompkins County Community reduced its emissions by 21% between 2008 and 2014 and Tompkins County Government reduced its emissions by 53% during this same period. The not-so-good news, however, is that when fugitive methane emissions outside of the County are taken into account total emissions due to expanded natural gas use have probably risen significantly. 4) Last but not least, in August New York established the Clean Energy Standard, a mandate that requires 50 percent of New York’s electricity come from renewable sources by 2030. The Clean Energy Standard is critical to reducing the State’s greenhouse gas emissions by 80 percent by 2050. Things can feel pretty bleak on a gray, rainy afternoon in late December as one considers the impact our greenhouse gas emissions will have on the planet for the generations ahead. It’s important to keep in mind, however, that we are making progress. 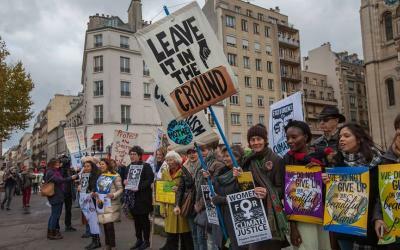 Although it certainly has its flaws, including the lack of any legally binding commitments, the climate agreement reached in Paris earlier this month by nearly 200 countries is historic, marking the most significant progress yet made in the effort to reduce greenhouse gas emissions. At the same time, China is moving forward decisively to reduce emissions from coal and renewable energy has become an economically viable alternative to fossil fuels. Government investigations into Exxon’s cover up of its own climate research have clearly put the oil industry on the defensive and the divestment movement gathers increasing momentum. Closer to home, as the talks in Paris got underway, Gov. Andrew Cuomo issued a directive that 50 percent of electricity generated in our state come from renewable technologies by 2030. This mandate sends a strong signal that New York needs to accelerate its transition to renewable energy. In the last 10 years, New York’s renewable energy has increased from about 19 percent to 25 percent of total electricity use. The state’s renewable portfolio standard, which expires today, helped make this possible. Now the challenge is clear: we need double the share of renewable energy to 50 percent in the next 15 years. The New York Public Service Commission (PSC), which regulates the state’s electricity industry, is not known for challenging the status quo. So, several months ago, when it rolled out Reforming the Energy Vision (REV), a program aiming to give customers more choice and a greater role in managing and sourcing their electricity, a healthy dose of skepticism was in order. The PSC has been traveling around the state, presenting the ideas behind REV and holding public hearings to gather feedback on its proposals. Calling for a new business model that would base the electric system on distributed energy resources, REV at first glance appears to position New York as a national leader in tackling grid modernization and promoting integration of renewable energy into the state’s power system. According to the PSC, REV would turn the state’s utilities into what it calls “distributed system platform providers.” This new approach would enable the state’s utilities to track, trade, and forecast assets like rooftop solar, customer-sited co-generation systems, demand response, energy efficiency, and energy storage. The big question regarding REV is whether the existing utilities should serve as the vehicle for managing and coordinating distributed energy resources. Think about it: if the utilities are both purchasing energy and managing the system, that’s a direct conflict of interest. It’s not hard to imagine utilities favoring their own assets over those of other parties. As many observers have pointed out, It’s crucial for the entity governing the distribution of energy to be independent. 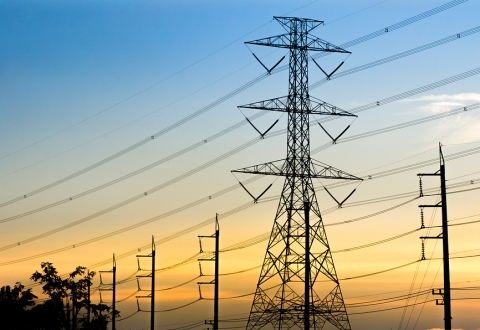 Unfortunately, it seems as if utilities have gained the upper hand in controlling the process. If they succeed, it will choke off a key source of innovation. Right now utility revenues are based on how much electricity the utility sells; the more it sells, the more revenue it gets. With utilities in charge of the process, what incentive will they have to find other ways to generate revenue? To its credit, the PSC is also considering allowing municipalities to pool the electric load from residents, businesses, and institutions and collectively purchase electricity, a process known as Community Choice Aggregation (CCA). CCAs are already allowed in several states, including California, Illinois, New Jersey, Ohio, and Massachusetts. If the PSC allows CCAs in New York, it would provide some check against the power of the utilities. In any case, the key point is fairly straightforward: as New York turns more from fossil fuels toward alternative energy, it’s important that major utilities not dominate the process. Only if citizens make their views known to the commission, however, will they be stopped. Comments may be submitted to the PSC by clicking here. “Now,” observed President Barack Obama in his Inaugural Address, “there are some who question the scale of our ambitions, who suggest that our system cannot tolerate too many big plans.” Hearing these words, I found it hard, as one of the leaders of New Roots Charter School, not to think of recent debates in our community. Too often in the face of economic downturns and fiscal crisis we are urged to put aside new ideas and fresh thinking. “We can’t afford to do this now,” “maybe later,” “a terrible time to start a project like this” are common refrains in times like these. Yet this is exactly when new ideas and fresh thinking are called for. It is exactly because times are tough that we should be encouraging new approaches to educating our future leaders and the work force of tomorrow. The commitment of New Roots to innovation, creativity, hands on learning, and interdisciplinary problem solving will provide students with the skills and tools they need to succeed in a world where, as President Obama puts it, “the ground has shifted beneath them” and many of the old assumptions no longer hold true. Education to get ready for this new world, as the sight of Obama taking the oath of office underscores, cannot be a luxury for an elite few. Hence the commitment of New Roots to serve a broad, diverse student population, especially those who have struggled in a large school environment and require individual attention to flourish. Too many of our youth have talents, interests, and abilities that go unrecognized and unsupported in traditional high schools. New Roots will be firmly grounded in research-based, nationally recognized educational models that support high achievement for every student. Working collaboratively, students will develop common visions, goals, and relationships of mutual respect across boundaries of race and class. This experience will directly address tensions that can develop among young people from different backgrounds, offering concrete examples of how they can co-create just, democratic, sustainable communities. But we already have an alternative school in Ithaca, you say. We don’t need another one. There is no question that the Lehman Alternative Community School has served and continues to serve a valuable role in the Ithaca City School District (ICSD). But there also is no question that there are students whose needs are still unmet, and that they face new challenges such as climate change, the end of cheap energy, global economic competition, and clean technology. Perhaps the biggest misconception of all is the notion that we are engaged in a “zero-sum” game where there will inevitably be losers and winners. The Ithaca Journal’s editorial pages have been filled with this kind of thinking regarding New Roots. If state aid weren’t going to New Roots, one of the arguments goes, then it could be used to help mitigate the budget cuts facing ICSD. Of course, as the Journal itself reported, the money from New York State is a pass through from the federal government and couldn’t be used for any purpose other than the start up of charter schools. But, even so, what about the money coming out of the ICSD budget that will be allocated to New Roots by state law? What gets forgotten here is that, for every student who attends New Roots, ICSD will get to keep a significant proportion of the cost for educating that student, even though the student will not be attending Ithaca High School. This means the overall impact will be a net increase, not decrease, in the per pupil amount for those students who remain in ICSD. A recent study of charter schools in New Jersey, which operates according to a similar method of financing, bears out this conclusion. There charter schools receive 90 percent of what other district schools receive in per-pupil funding from state and local sources. All the more true, then, in New York, where charter schools receive an average of one-third less money per student than traditional public schools, and no money at all for buildings. Rather than engage in these kinds of disputes, we should consider the new synergies that might be possible because of New Roots. Clearly, for example, the Obama Administration plans new investments in education, green-collar workforce development, and clean technology. Ithaca, because of its leadership on sustainability, might well become a beneficiary of these new federal funds, a possibility enhanced, not undermined, by the founding of New Roots, which is positioned to become a national model of sustainability education. Choosing hope over fear, identifying opportunity where others see crisis, is what distinguishes communities that thrive in times of change and upheaval from those that stagnate and go into decline. Those of us who support New Roots, and who have invested time, energy, and money in this effort, have little doubt that it embodies both hope and opportunity, and that now more than ever it can help provide solutions that will ensure a prosperous and secure future. Note: This essay was originally published in a slightly different form as “Students Will Benefit from New Roots,” Ithaca Journal, January 26, 2009. Academic entrepreneurship has been part of Ithaca College’s institutional DNA since its founding in 1892 as a music conservatory. Ithaca, an independent, predominantly undergraduate college of 6,400 students in the Finger Lakes region of New York, offers a diverse curriculum in more than 100 degree programs in business, communications, health sciences and human performance, humanities and sciences, music, and interdisciplinary studies. The music program’s original emphasis on performance and hands-on learning spread throughout the curriculum as the college grew and influenced other programs in theater arts, physical education, physical therapy, radio, and television. As a founding member of Associated New American Colleges (ANAC), a national consortium of about twenty small and mid-sized institutions, Ithaca is committed to Ernest Boyer’s vision of undergraduate education, one that combines liberal and professional learning with a strong emphasis on experiential learning and civic engagement. This marriage of pragmatism and idealism equips Ithaca students with the ability to solve real world problems in ways that advance the college’s core values: intellect, character, creativity, community, and global citizenship. The recent campus-wide sustainability initiative is but the latest manifestation of Ithaca’s distinctive brand of undergraduate education. Ithaca College has been exploring and applying the concept of sustainability for several years. Our sustainability initiative involves three dimensions: 1) the curriculum, 2) college operations, and 3) community outreach. The framework supplied by sustainability thinking—with its emphasis on interconnectedness, the dynamic nature of complex systems, and the importance of taking the long view—has much in common with the strategic approach adopted by the college’s institutional plan. Indeed, the move towards sustainability has emerged organically out of the priorities established by the institutional plan. Sustainability thinking and entrepreneurship, then, have become inextricably linked at Ithaca College. The institution’s long history of innovation and pragmatism has furnished a fertile seedbed for the growth of the sustainability initiative, which in turn has helped to facilitate the integration of a liberal education and professional studies, with a strong emphasis on civic engagement. As a result, Ithaca is helping to forge a unique approach to undergraduate learning, an approach that represents the cutting edge of U.S. higher education in the twenty-first century. Note: This is an abridged version of an essay that first appeared as “Sustainability Thinking and Entrepreneurship: A Case Study,” Peer Review, Vol. 7, no. 3 (Spring 2005): 18-20.